The Aston Leather Collector's 20 Pen Carrying Case holds up to 20 pens. Made from American cowhide leather with a velvet interior, the case has dividers for each individual pen. The case is handcrafted with a zipper closure for security and protection of your pens. The Aston Leather Collector's 20 pen case measures 8" x 9.5". The Aston Leather Collector's 20 Pen Carrying Cases usually ships within 1 business day unless otherwise specified. Each Aston Leather Collector's 20 Pen Carrying Cases we sell is guaranteed to be genuine, authentic and will arrive brand new & unused! These are the perfect size for storing on a bookshelf. I bought two and had no problem with fitting my pens in them and they are beautifully made. Aha! It would seem that Aston Leather have taken previous buyers' feedback into account and tweaked the design of the Collector's 20 to address some of the comments. This newer one has a wider inner velvet divider that covers all 10 pens on each side so that you can store a full 20 pens within without fear of damage. The 'spine' of the case is also slightly wider, so that the fit isn't so tight. The zipper is also of a slightly different design, and I feel that this one opens flat more easily than the one with the older zipper. The leather is still real and wonderful to smell and touch. I was happy enough with the older version; I'm over the moon with the new one. Due to the inner divider not spanning the entire length of the case, it's more like an 18-pen case. The last pen on each end of both sides will connect when zipped, so you must leave two slots empty to ensure they don't scratch one another. Additionally, the cognac leather is moreso brown than cognac, and mine arrived with some deep scratches. On the bright side, I like the look of aged leather so I'm thinking of it as 'accelerated' rather than damaged. The leather itself isn't substantial, but feels and smells real and of good quality. I like the velvet lining inside the case, and each pen slot has two elastic straps for extra security. Mine seems strongly-sewn and hasn't started unthreading at all. Like other reviewers have noted, it can be a TIGHT case if you don't stretch it out beforehand. I didn't, and it always seems like it's barely holding together-- I have ordered a second though (which should reassure you of my estimation of its quality) and will stretch it out before use to see if there's a huge difference in the way it handles afterwards. Easy to use and it really protects my pens. I even store my pilot parallel pens in it. Thanks pen chalet! Very nice quality, and it does a good job of protecting the pens, especially since it uses double loops for each pen and has the soft divider in-between each side. One thing though that I've noticed is that the outer leather is slick, and seems a bit thin in comparison to the ten pen case. That one has more texture to the leather and seems more substantial to me. Both have a very nice, smooth zipper, and the cognac dye matches well on both sizes. These aren't inexpensive cases, but having bought a cheap Chinese case made to look like these I will stick to the Aston Leather brand for its' quality and durability. The Aston Leather Collector's 20 Pen Carrying Case is great. 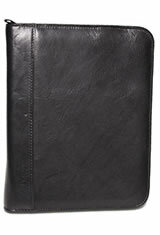 It is all leather and finished inside with a soft velvety material. It has a nice thick Velvet divider as well to protect the pens from touching each other and the divider also has a small pocket for a business card. The zipper is a strong and easy to close zipper. Overall it's a very good value and does the job excellently. If I had one suggestions it would be that the divider inside that protects the pens from touching each other should be a little longer to go from end to end. As it is now the dividing cloth does not cover the two far outside pens. Unusual I think and I don't understand why it would be designed that way but that would be the only thing I would change. The case is beautiful and well constructed.The only concern I have is that the pen holder straps are rather tight for some of the larger pens. If there were some mechanism to loosen the entire strip that would greatly enhance the unit. Overall, I am delighted with my purchase. Thank you PenChaletfor making this case available. Nice case - would buy again. Great to keep my collection of pens. Gorgeous pen case! The leather is smooth and the pens fit beautifully in the case. Great purchase. This is the Aston Leather 20 Pen Carrying Case. It's made from high quality leather with heavy duty stitching around the edges of the case, on the binding of the pen it has an additional leather piece with a high quality metal zipper to close and secure the pens and keep them in place. The interior of the pouch is a nice soft black velvet material with compartments to hold 10 pens on each side of the case. It has a nice soft flexible velvet divider to keep the two sides of the case apart from each other and protect the pens. When you close it, on that divider is the Aston logo printed on a little compartment or case to put your business cards. This is a great place looking pouch, it's a great way to store and secure your pens whether you're just putting them on the shelf or taking them with you somewhere. Get your Aston 20 Pen Leather Carrying Case at PenChalet.com.